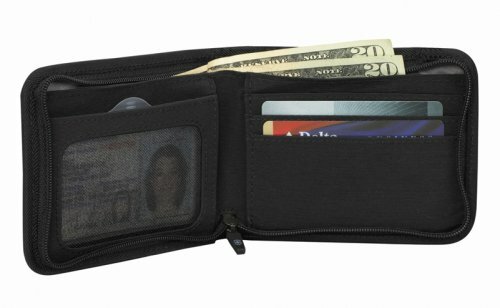 This lightweight travel wallets as a secure, zip-around closure, providing extra security for your valuables. Good but only if you live in the U.S. Does not hurt your behind! 28 dollors is what you have to pay for one of these. NOT for the global traveler!